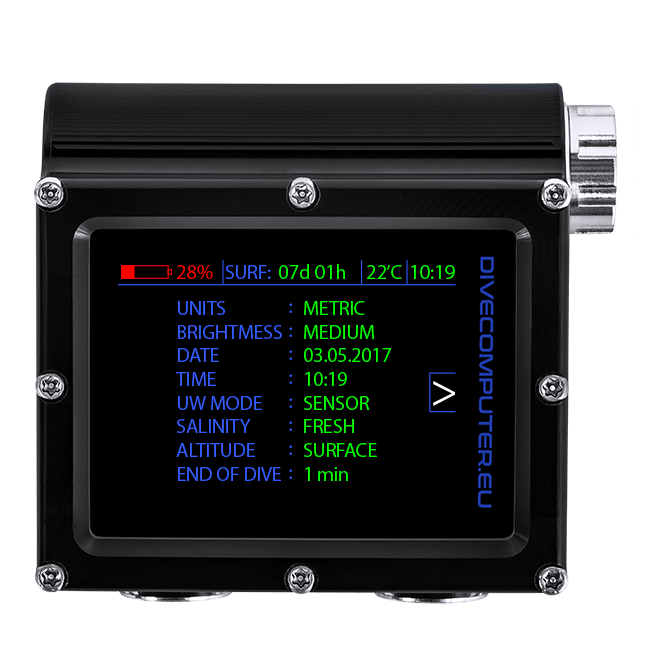 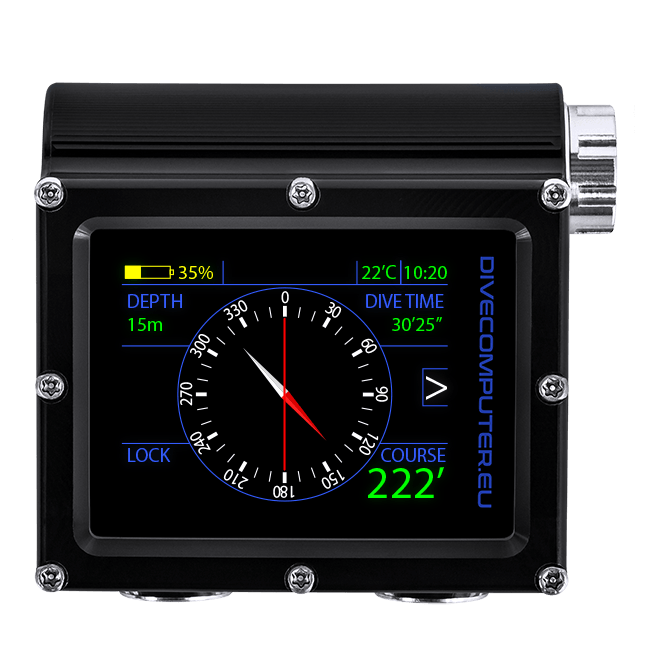 Screen showing the basic current values and information from the last dive. 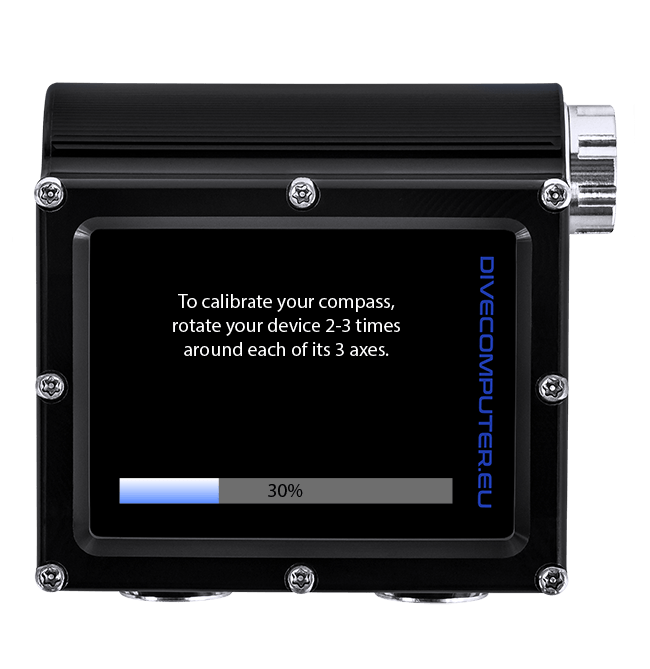 Calibration of digital compass indication built into the device. 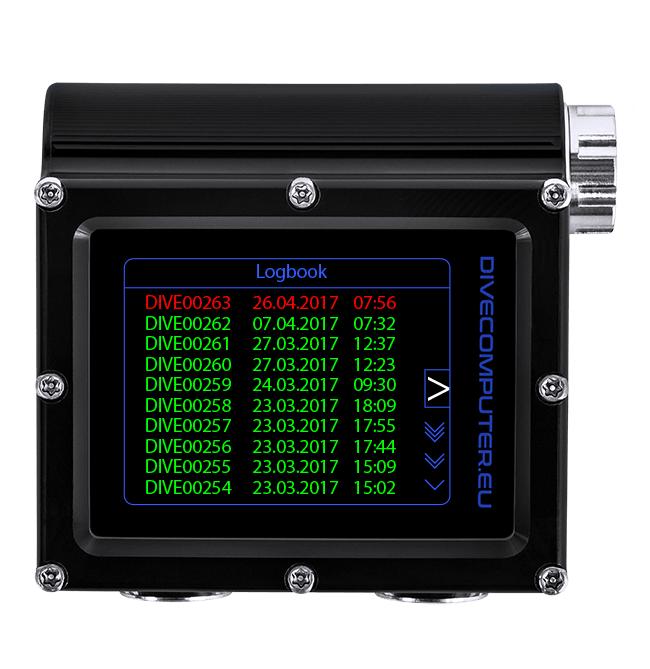 Screen for selecting the operating mode of the device. 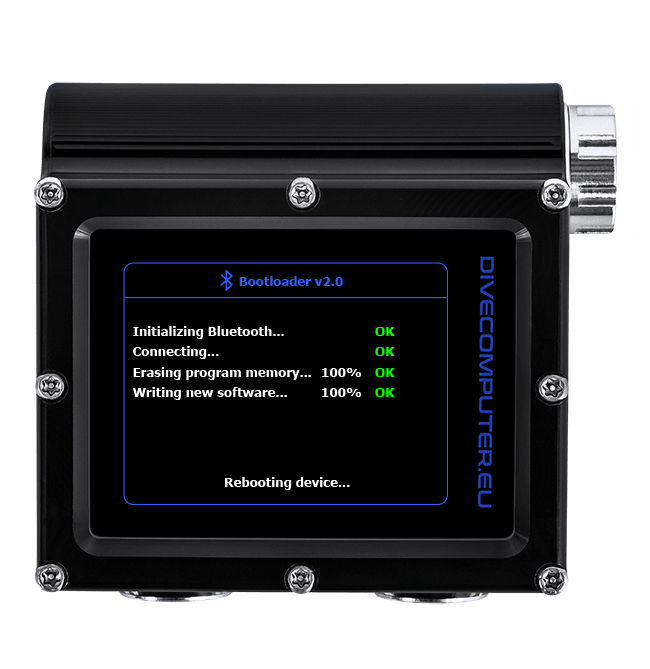 Device bootloader used to update the firmware. 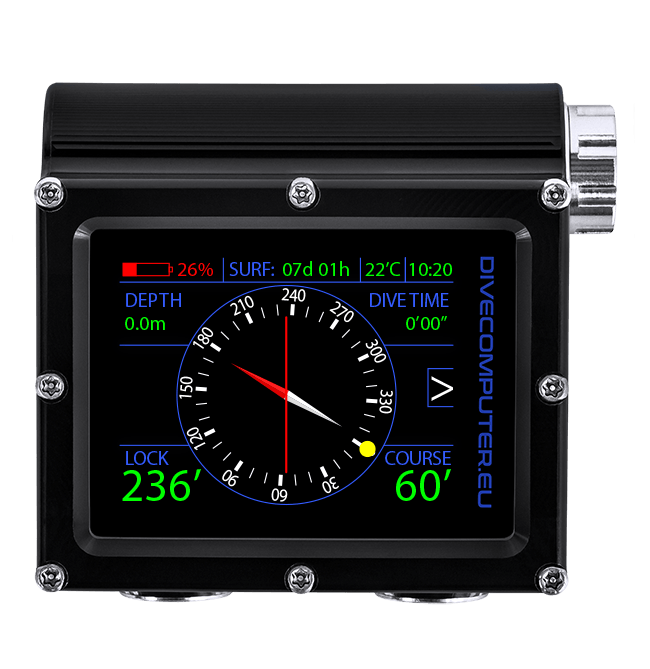 Display of current digital compass indication and locked course. 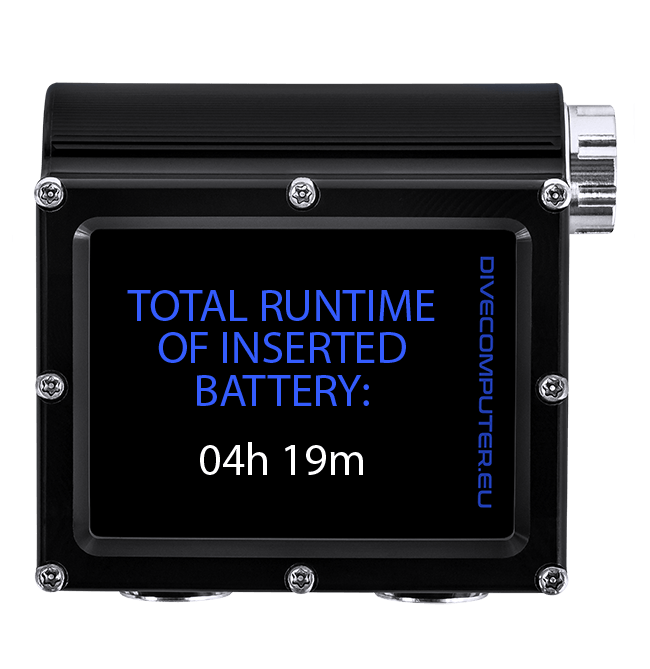 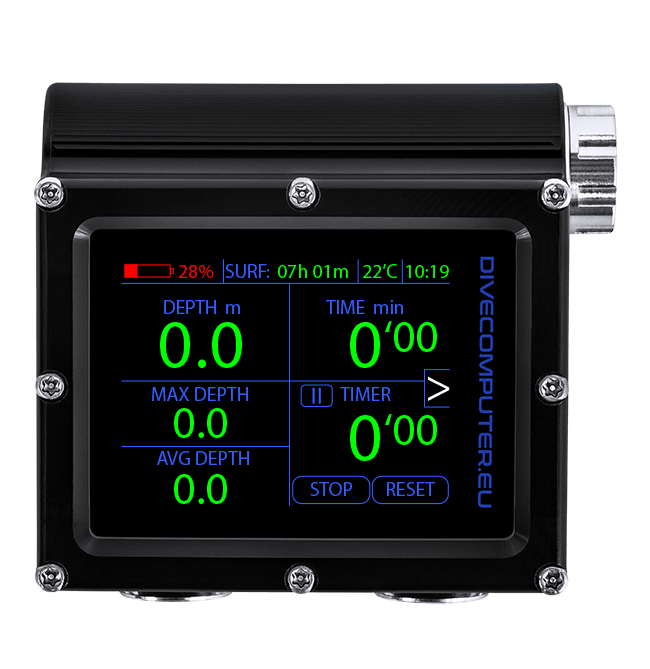 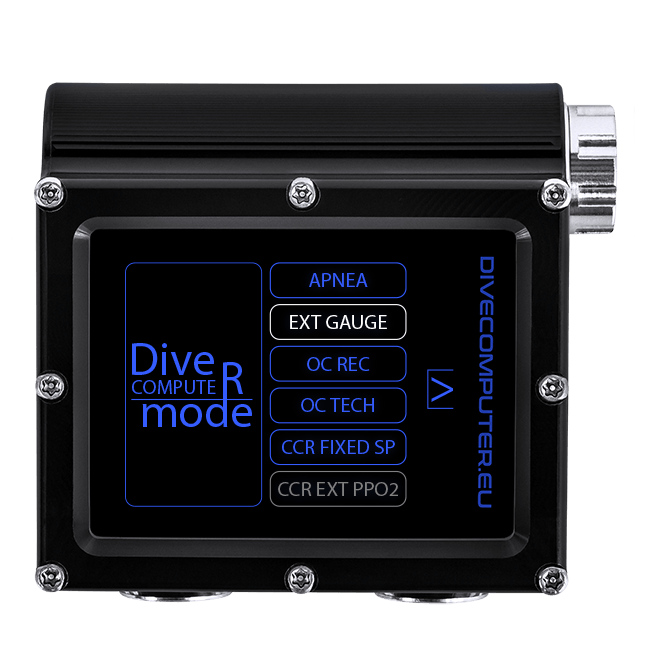 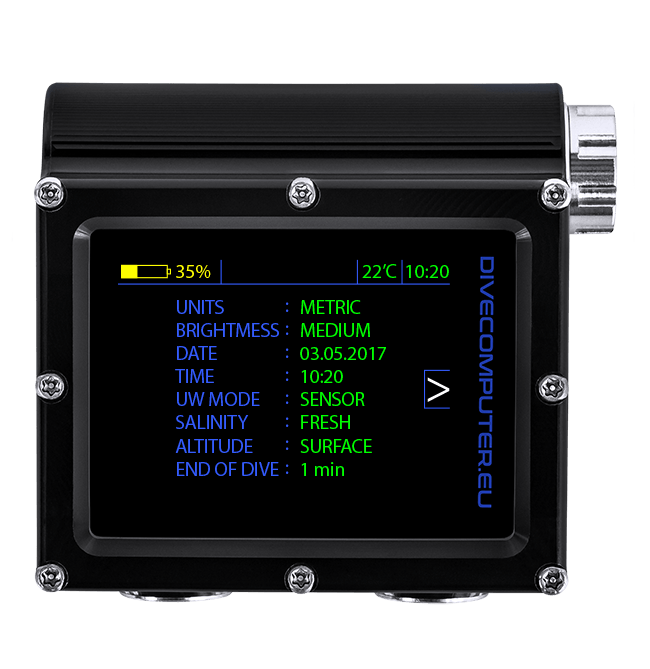 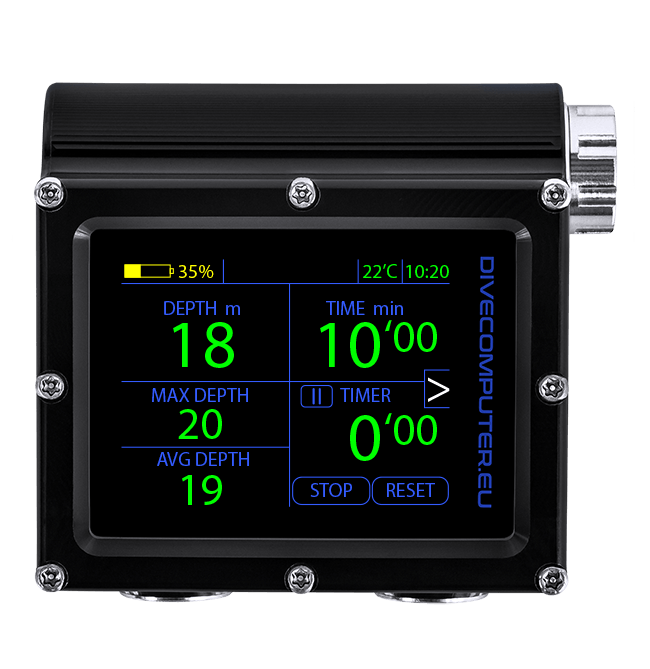 Screen containing the current values of the dive parameters.